Want to show your One and only the true power of your feelings? 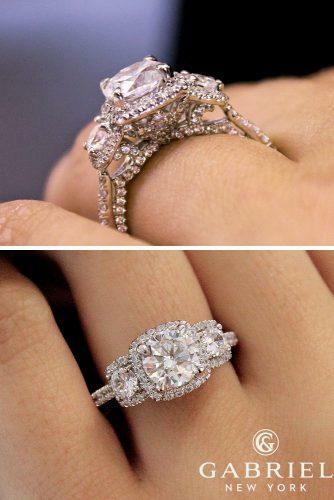 There is nothing that can express your commitment and excitement better than Gabriel & Co. engagement rings. 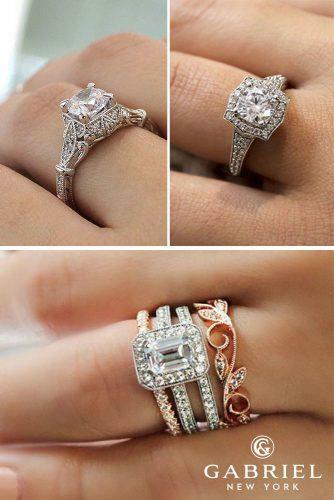 These incredibly beautiful rings come in different styles from timeless classics to fashion-forward designs. 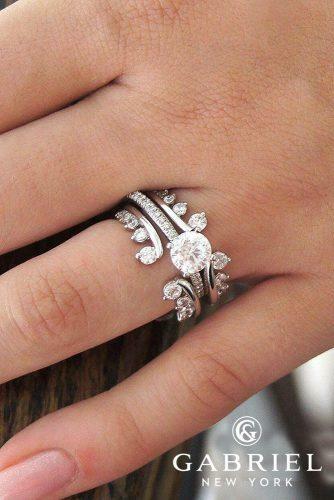 The bridal collections offer a variety of styles, shapes, and colors. 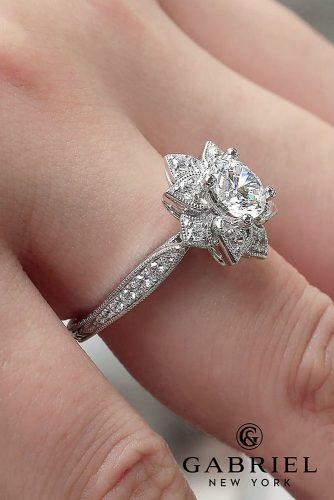 You can also find a way to express your feelings by altering elements to create a unique heirloom of your dreams. 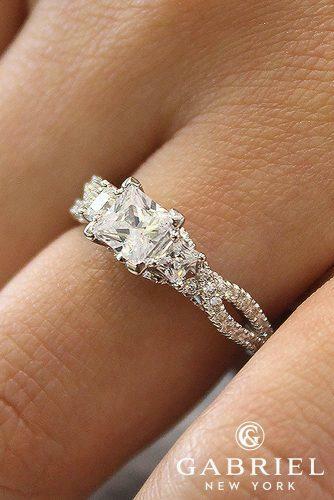 You can trust brand’s masterful artisans to create a ring that is as unique, as your relationship. Just order a custom-made bridal design to get a masterpiece of art jewelry that will be passed from generation to generation. This family-run company believes that love of family is the foundation for success. 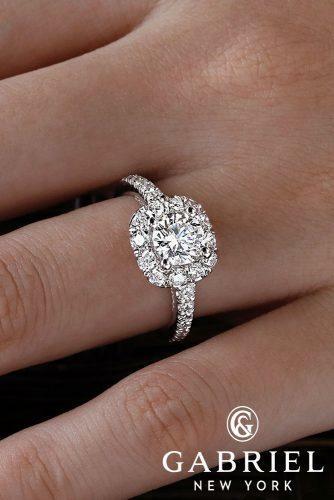 The Gabriel brothers believe that the perfect diamond engagement ring will stand the test of time. 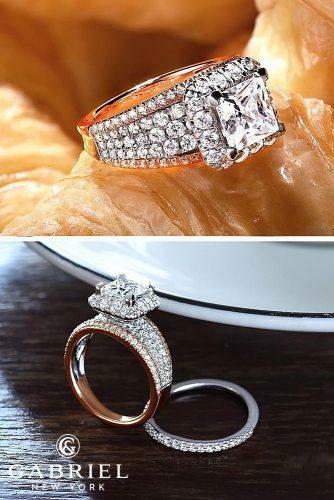 That’s why it is the philosophy of the company that you should get to know your ring before you buy it, by shopping with one of brand’s experienced, family-owned and operated retail partners. This bridal brand has the reputation for being passionate, dependable, and artistic. The brand’s impeccable artistry makes every moment unforgettable. 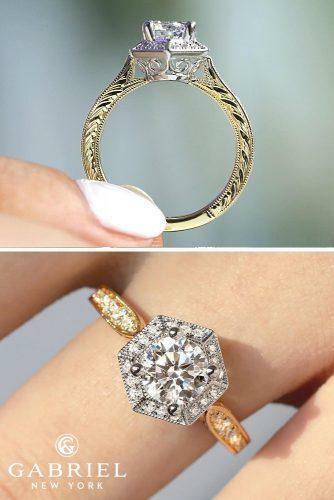 The brand’s retail partners will help you to make the best choice, according to your budget, be it a ready-made ring, or a custom-designed one. Meticulous attention to detail is one of the brand’s trademark features. The brand’s diamond selection guarantees superior quality and conflict-free background of every stone. 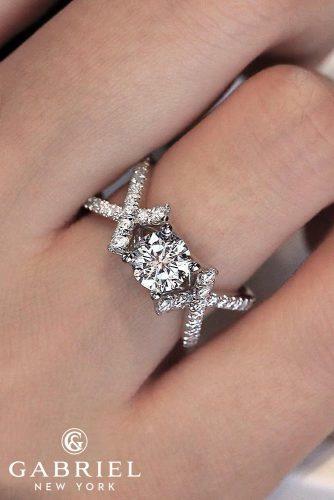 The cornerstone of Gabriel &Co is helping people create rings and select diamonds that are the perfect match™. Look at the gallery and get inspired! 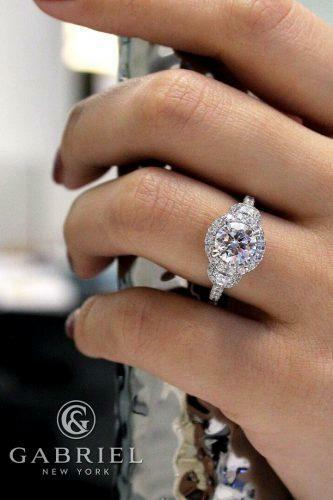 Enjoy the best ring photos and videos by Gabriel & Co.
Prescott (Photo 1) ring is featured here in white gold with a breathtaking oval cut centerstone. 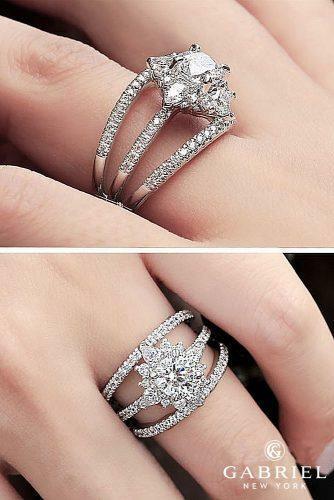 You will love a gorgeous Lorena (Photo 2) three diamonds halo engagement ring in 18k white gold, and this stunning Andrea (Photo 3) three diamond halo engagement ring in white gold. Ronny (Photo 1) is a fabulous engagement ring in mix white and rose gold with round cut diamond. 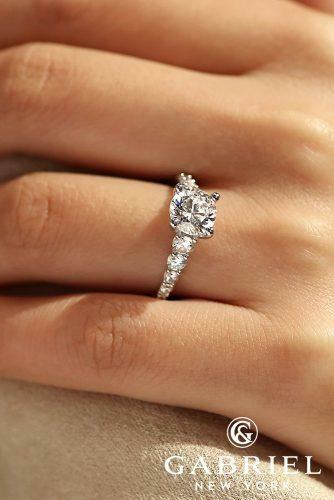 Unforgettable (Photo 2) diamond engagement ring with stunning design and breathtaking princess cut centerstone. Joanna (Photo 3: Ring) white engagement ring with unique chic white gold diamond enhancer (Photo 3: Enhancer) and round contemporary diamond. 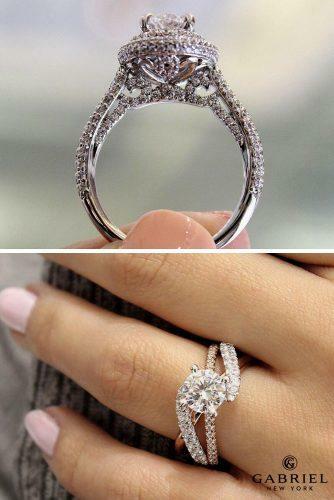 Amazing Mindy (Collage 1) in white gold with round classic diamonf and beautiful twisted bands. 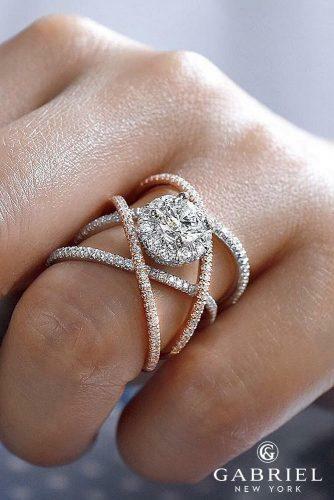 The unique Orleans engagement ring in combo white and rose gold and incredible split shank (Photo 2). The simply beautiful (Photo 3) halo ring designed in stylish white gold with a round cut diamond. 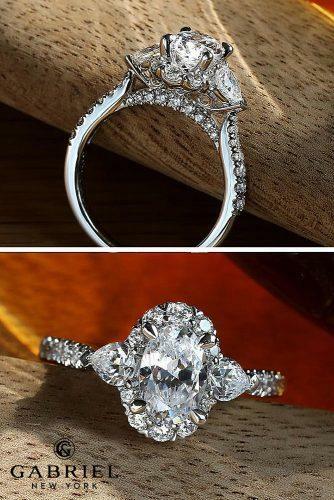 Montgomery (Collage: photo 1) engagement ring in 14k white gold and stunning center stone. 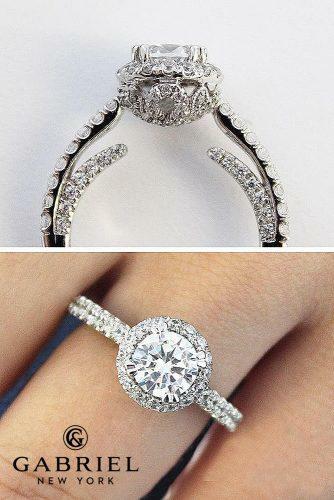 Also, vintage halo engagement ring Theresa (Collage: photo 2) in 14k white gold and gear round diamond. 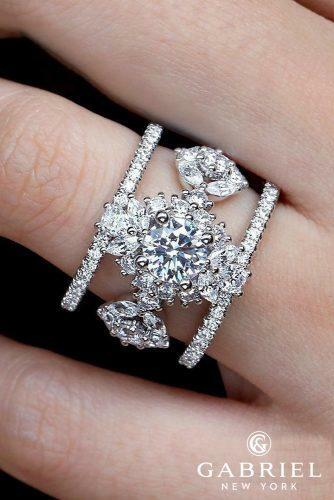 Excellent ring set: vintage halo engagement ring Corinne (Collage: photo 3) in 14k white gold with an emerald cut diamond and stunning stackable rings. 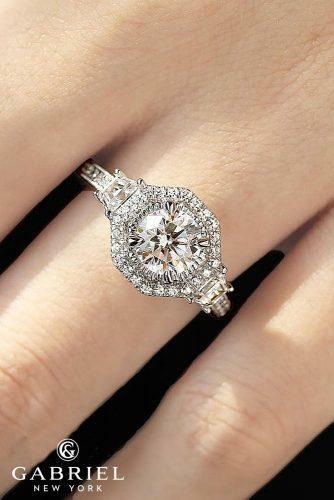 Breathtaking vintage diamond engagement ring crafted from rich white and yellow gold, featuring an exquisite halo with engraved details (Photo 2). Celia (Photo 3) engagement ring with a center diamond is a real luxury by Gabriel & Co.
A unique engagement ring on Photo 1 features a fantastic floral halo and beautiful bands. 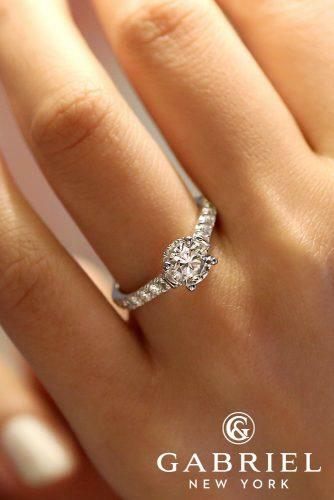 On Photo 2 you’ll find a breathtaking halo engagement ring in white gold with a round cut diamond. 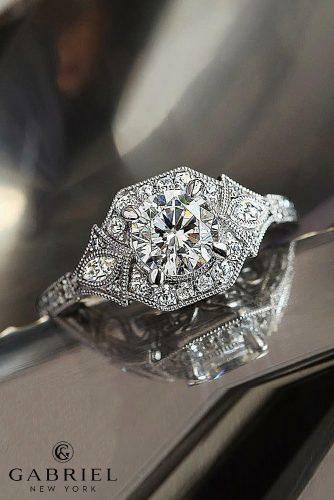 The stunning halo art-deco ring looks gorgeous with round center stone (Photo 3). 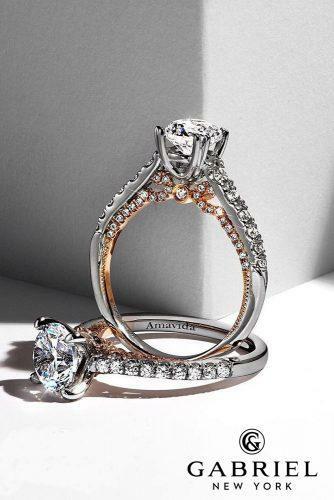 Anais (Photo 1) is an inspiring white gold engagement ring with amazing rose gold elements. 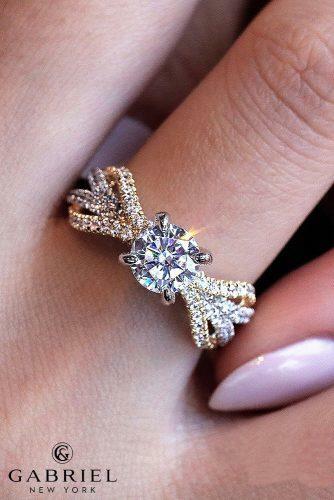 This incredible round cut engagement ring (photo 2) looks fantastic in yellow and white gold mix. 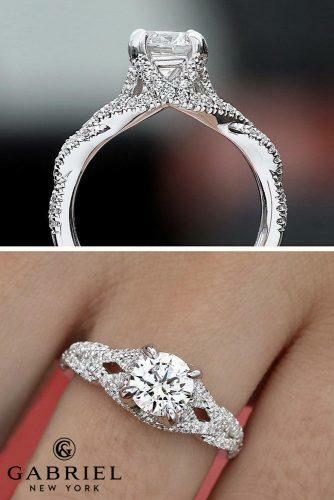 This (Photo 3) is an amazing 14K white gold round cut engagement ring with outstanding halo. Matilda (Photo 1) is a stunning white gold classic engagement ring with a crown diamond. 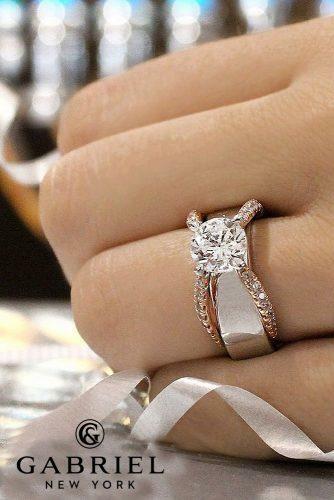 Incredible Ambrosia (Photo 2) 14K white gold princess cut engagement ring will win a heart of your girl. 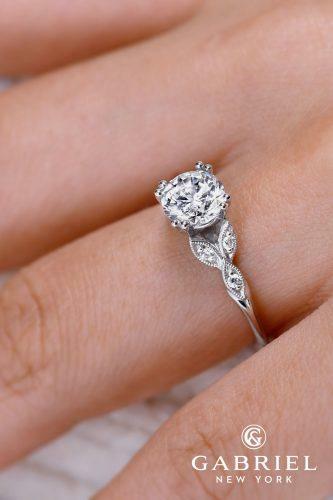 Reed (Photo 3) is a 14K white gold contemporary engagement ring with amazing details. Discover even more gorgeous creations at gabrielny.com!